Salvia officinalis - Natural Health - Lancaster and Preston . Salvia comes from the Latin salvare which means ‘to cure’. Sage is excellent for sore throats as has antiseptic, relaxing and astringent properties. 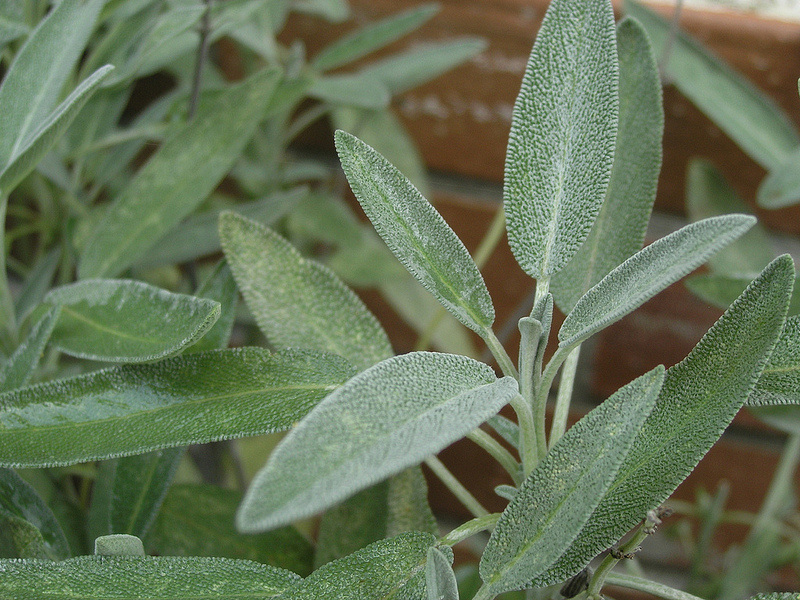 Fresh sage leaves make a useful first aid remedy – rub onto stings and bites. Cold sage tea – mouth wash for ulcers or gingivitis, gargle for sore throats. For sore throats make an infusion of the herb. Leave to cool. Alternatively tincture of sage can be used as a gargle. Tea- put 1 tsp of dried leaves or a small handful of fresh leaves in a teapot or cup with a saucer on top, and leave to stand for 5-10 minutes. Drink no more than 3 cups a day. NOT SUITABLE TO TAKE WHILE PREGNANT OR BREASTFEEDING.